Perennial champions Guyana Jaguars continued to maintain a stranglehold on the lead with a second consecutive win, this time over Winward Islands Volcanoes. Leewards Islands Hurricanes became the first team outside the leaders to record a win this season. 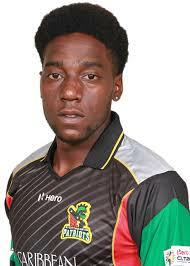 Jeremiah Louis the player of the round lead the Hurricanes with a nine-wicket haul and a half century to trounce Barbados Pride by an innings inside two days. Trinidad and Tobago Red Force were again held to a draw by Jamaica Scorpions.